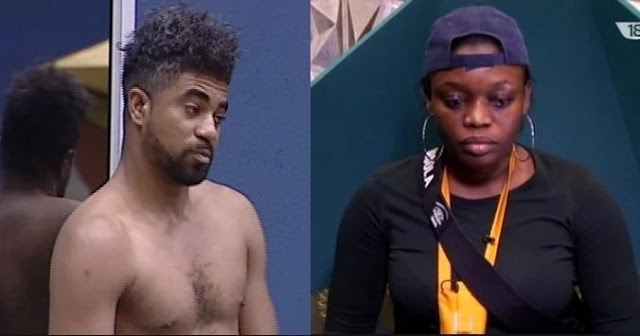 Thin Tall Tony, who was Sunday night evicted from the Big Brother Naija house, has declared that he feels nothing for Bisola. Speaking with the host of the Sunday eviction, TTT said, “What we had was not real”. Asked if he has feelings for Bisola, he replied: “I feel nothing. All that happened was a game. Last Monday, Bally, TBoss and Thin Tall Tony were initially put up for eviction by other housmates. But with his power as Head of House, Bassey replaced Bally with Efe. On the other hand, Marvis had a power card which she could use to nominate a housemate for eviction. The input by Bassey and Marvis resulted in four names for possible eviction – Debie-Rise, Efe, Those and Thin Tall Tony. There was no eviction last week because Biggie cancelled the weekly nomination exercise. The two fake housemates, Jon and Ese were booted out three weeks ago. A fortnight ago, Uriel was evicted while Kemen was disqualified.